One of the most interesting aspects of the PC version of GTA V is that it allows users to “mod” the game, releasing user modifications that change Rockstar’s game in interesting and sometimes funny ways. 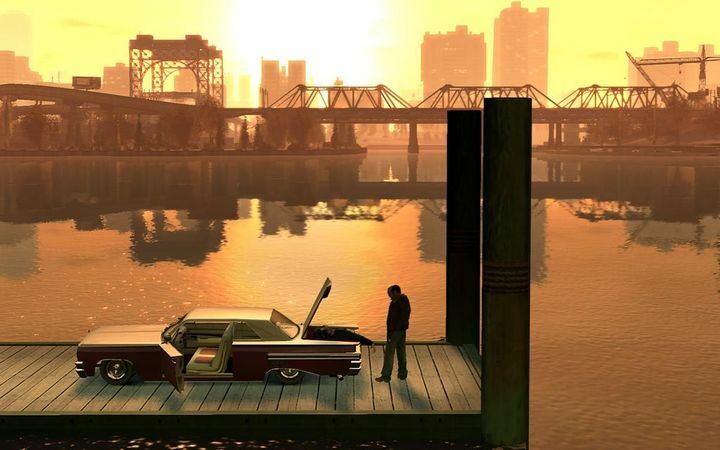 And now one very ambitious mod which is being developed by a modding group known as OpenIV Team will add the entirety of GTA IV’s Liberty City to GTA V. According to a blog post on the team’s website, the mod “will not replace Los Santos or Blaine County, but appears across the sea”. There’s no release date for the mod yet, but a copy of both GTA V and GTA IV will be needed to play it according to its creators, as the mod will take the form of a conversion tool which creates a single player DLC pack, making Liberty City playable in GTA V.
A teaser video of this mod has been released (see the trailer above), and it’s likely that GTA V players are looking forward to roaming Liberty City in GTA V, given what a beautiful and awe inspiring setting this was in GTA IV, a game which undoubtedly still is one of the best in the series to date.